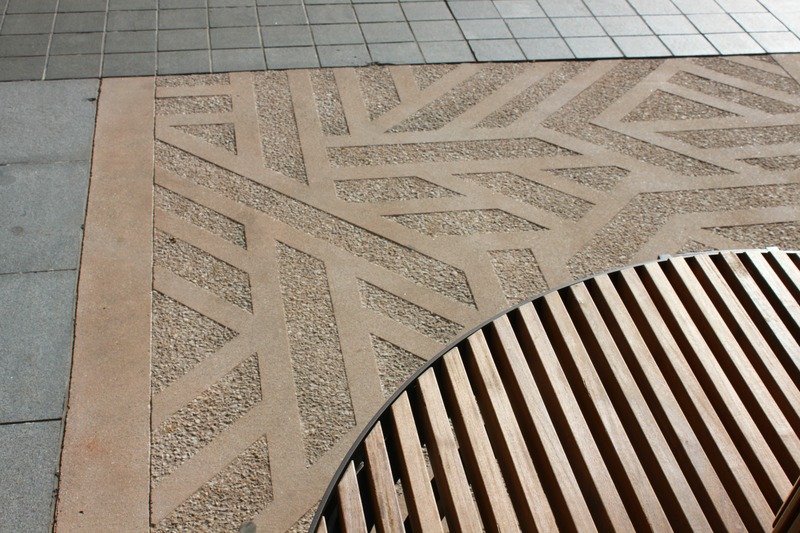 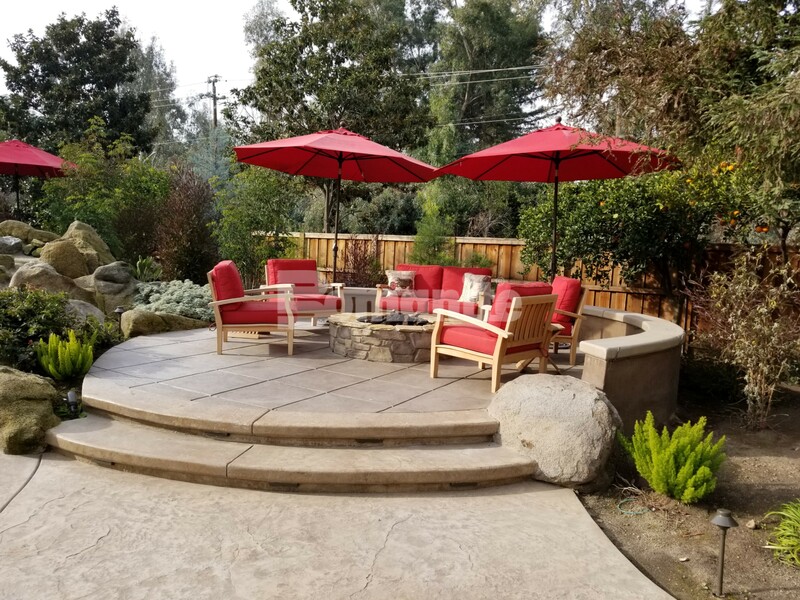 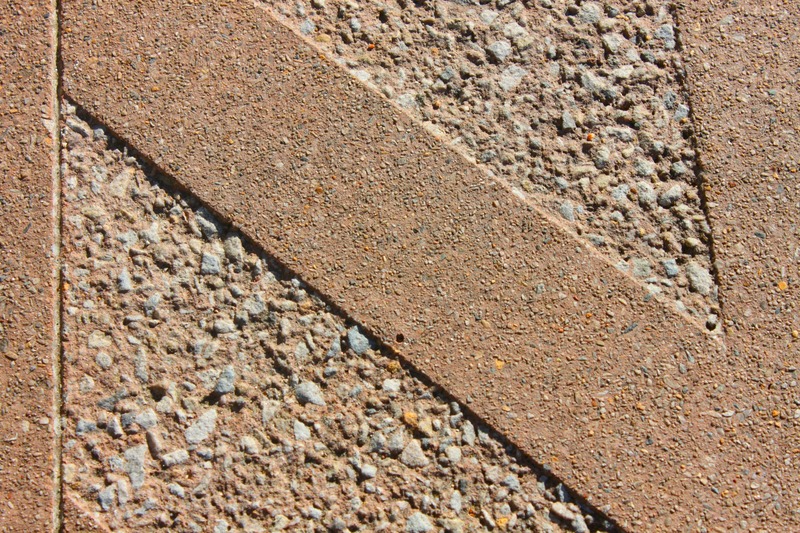 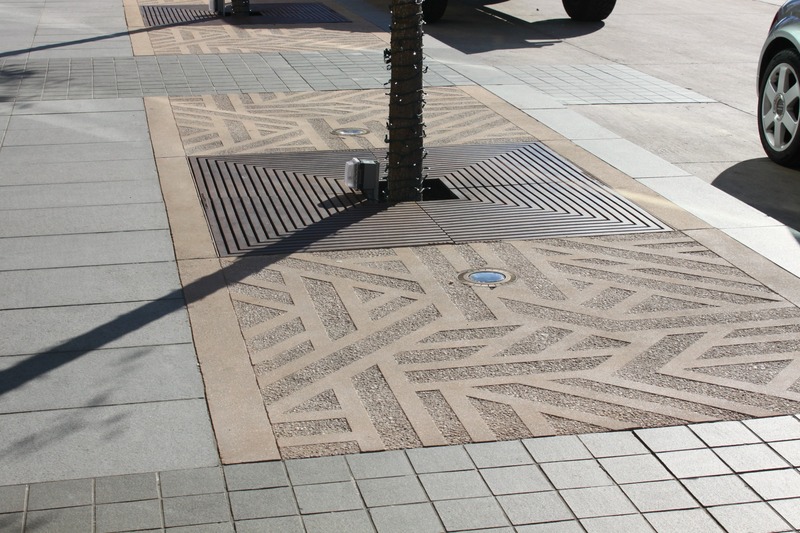 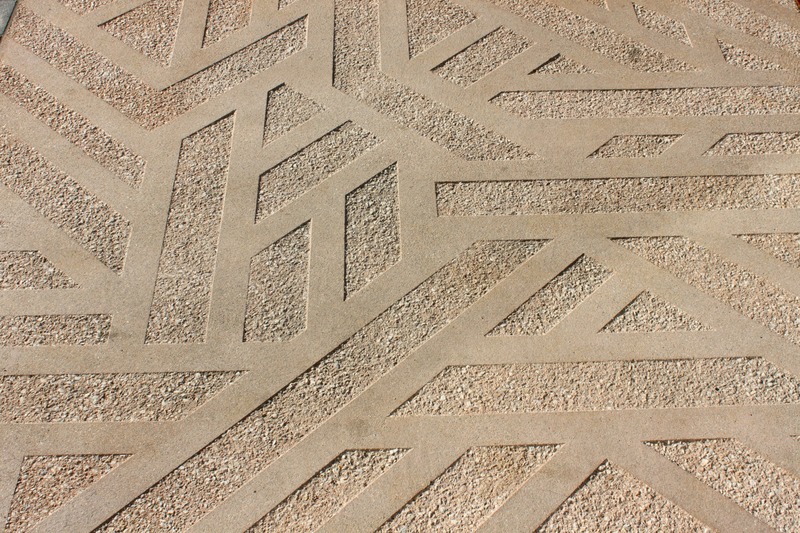 The finished Sandscape Texture product resembles sand blasted concrete and can incorporate specialized colored sands in the concrete and aggregates exceeding 3/8” in diameter. 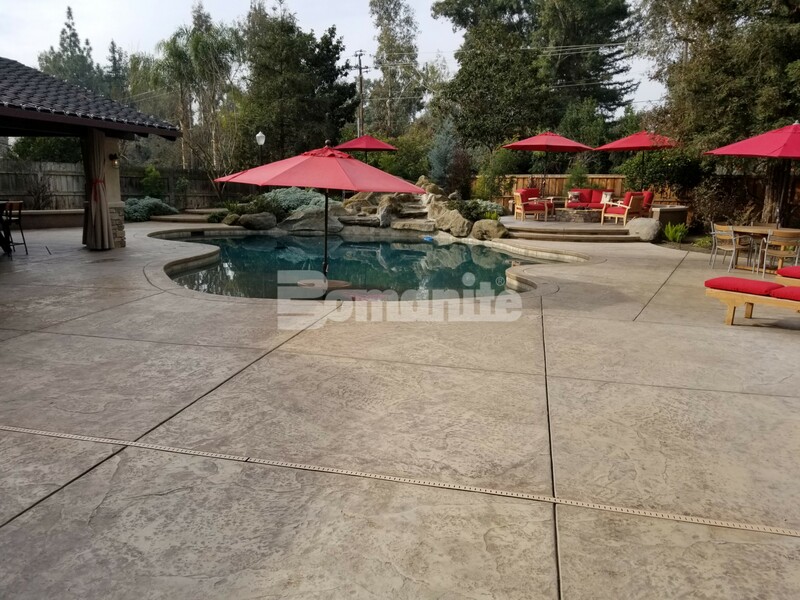 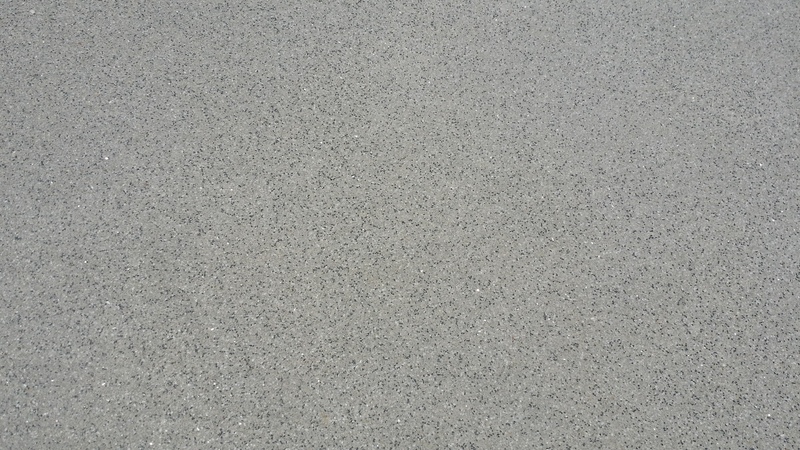 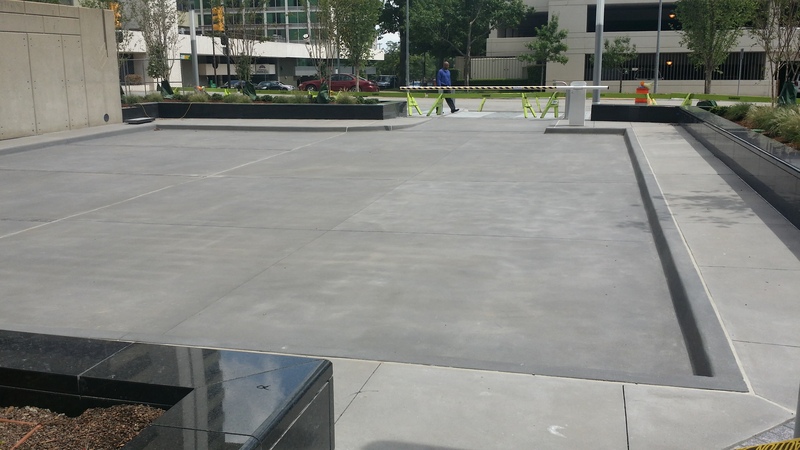 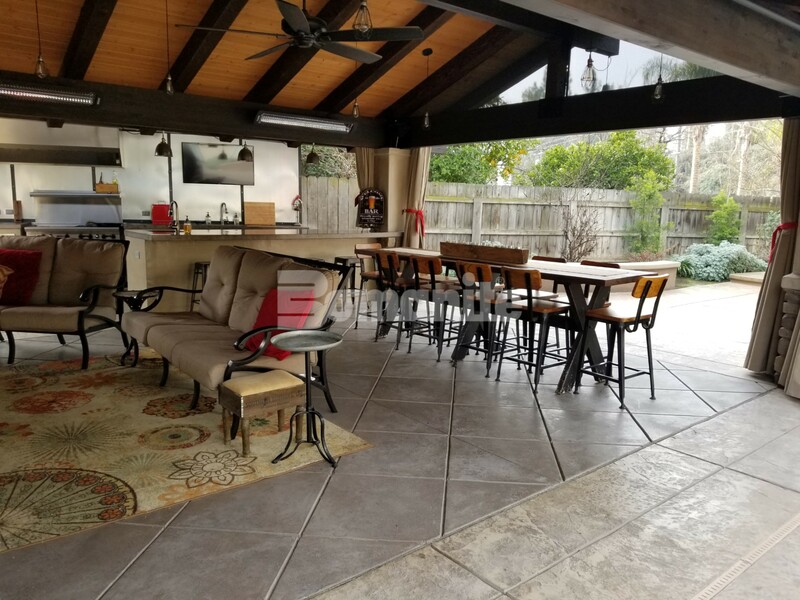 The final product is an economical alternate to other decorative finishes while producing a monolithic concrete slab with a low life cycle cost due to the pre-aged nature of the surface. 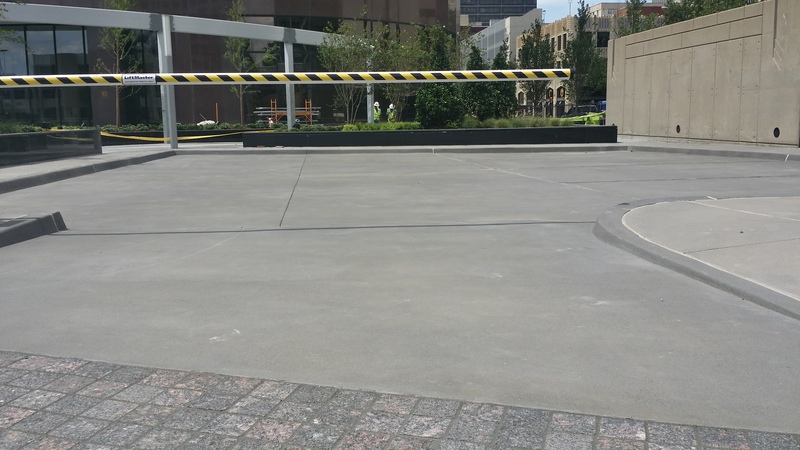 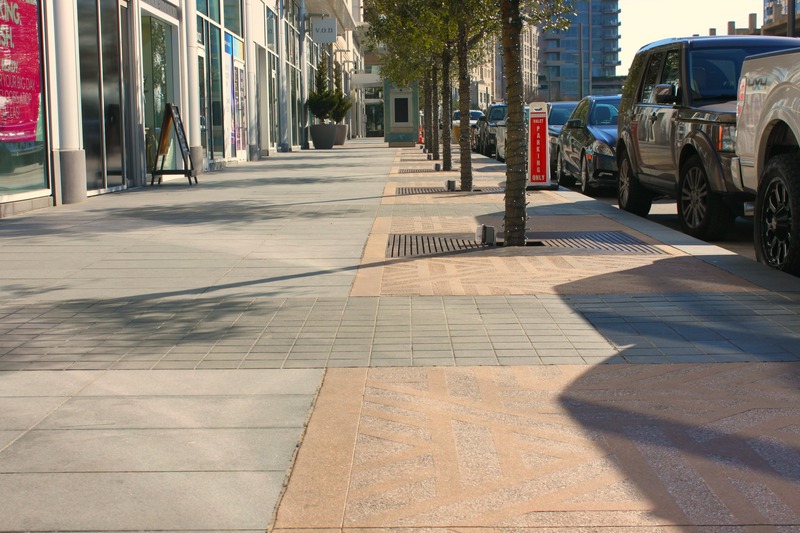 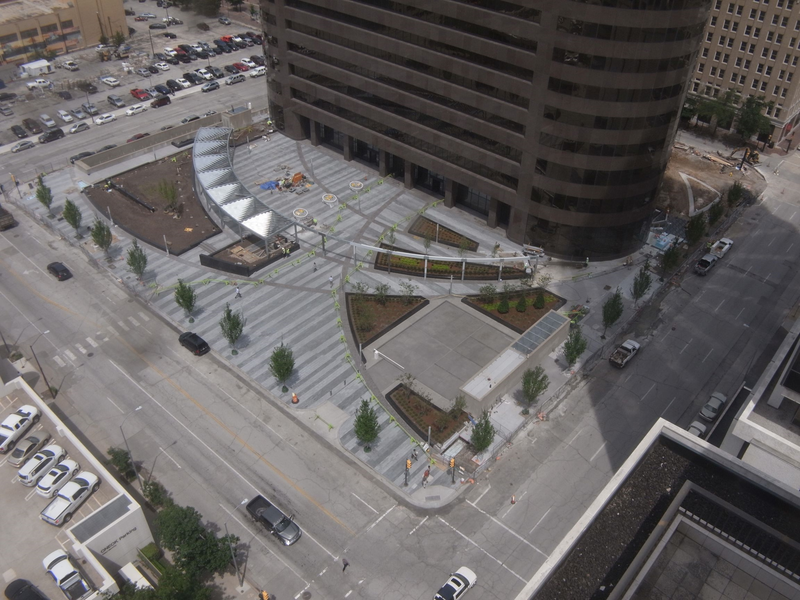 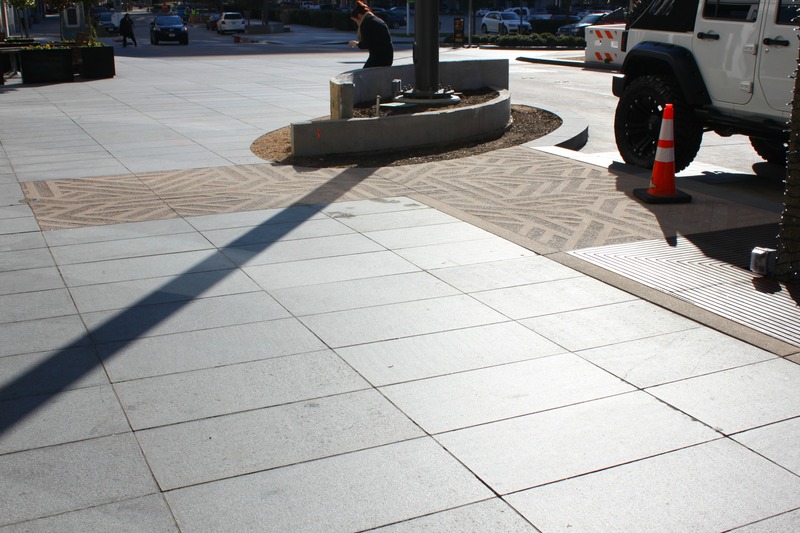 Applications include plazas, shopping centers, schools and exterior walkways—anywhere improved wear resistance for light- to moderate-duty vehicular or foot traffic is necessary. 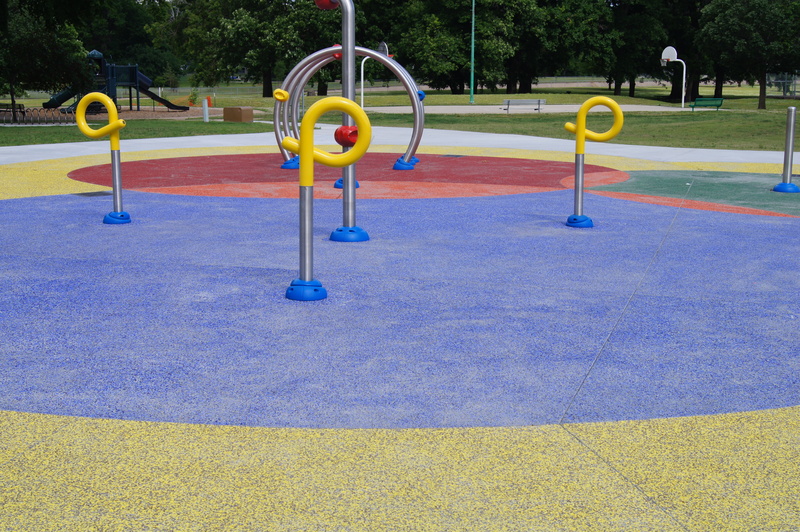 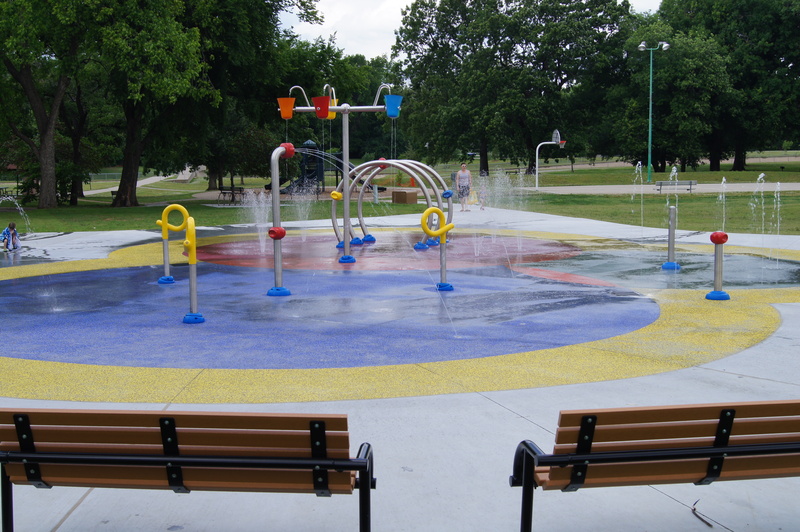 These highly durable surfaces are available in a multitude of standard and custom options, including light-reflective formulations that reduce heat island effect. 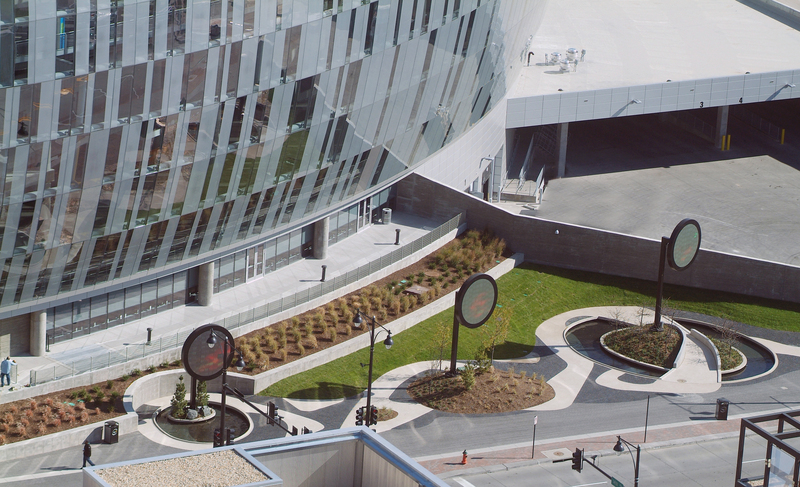 The Sprint Center is Kansas City’s home for sports, concerts, family shows, collegiate competitions, tournaments and special events. 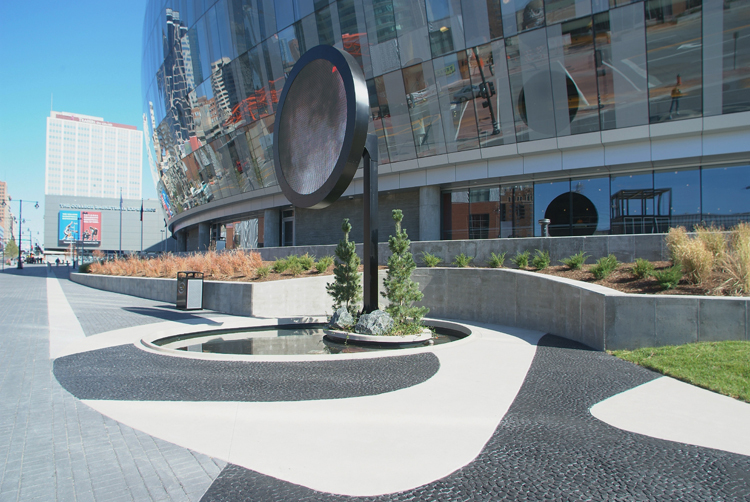 Bomanite Licensee, Musselman & Hall installed 64,000 of concrete hardscapes during the construction of the arena. 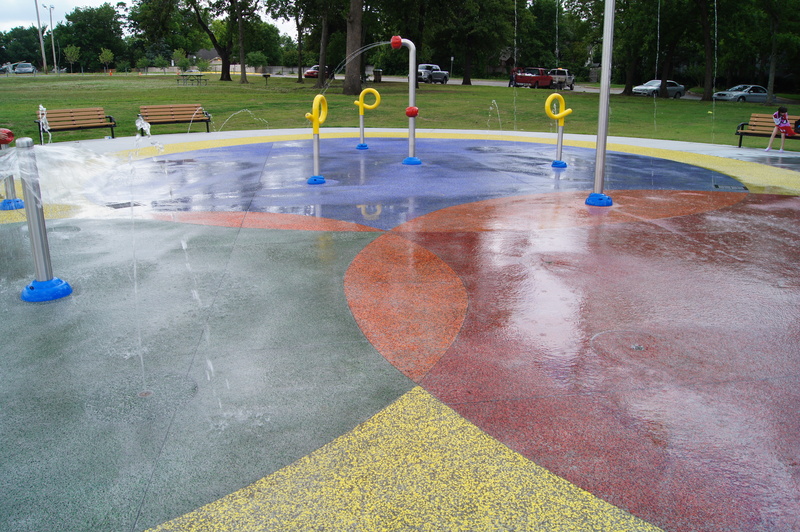 A small portion of their work involved The Moon’s Plaza. 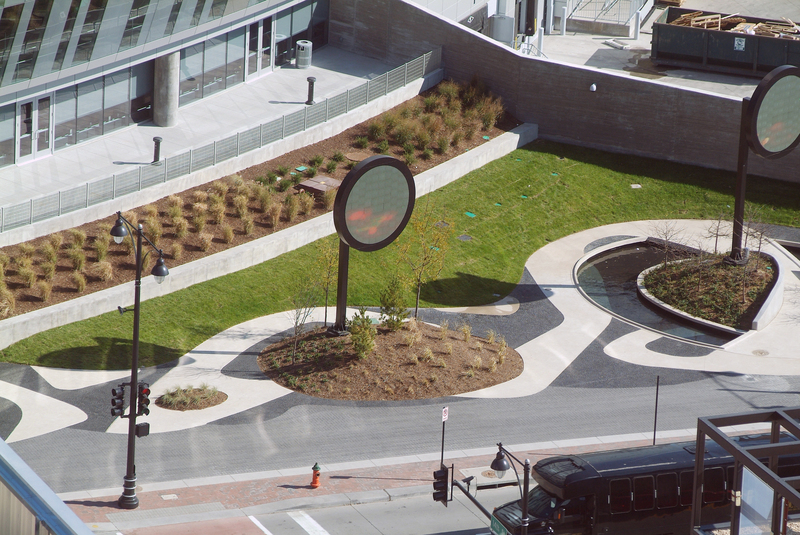 The project designer, Chris Doyle, created The Moons as the Percent-for-Art component of the Sprint Arena, in Kansas City, Missouri.